Happy rainy Monday morning peeps! Don't you just love the sparkle? It has textured finish so it stays longer on your nails. It has been three days since I applied it and there's still no chip even on the side. Did I mention that it has a nice matte finish too? 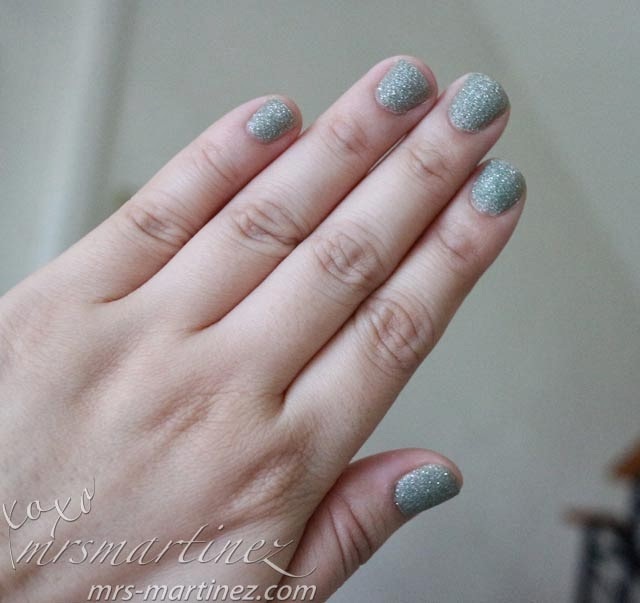 It has a nice mint green color with sugar-like sparkle. I achieved the same color as the one in the bottle after four coats. 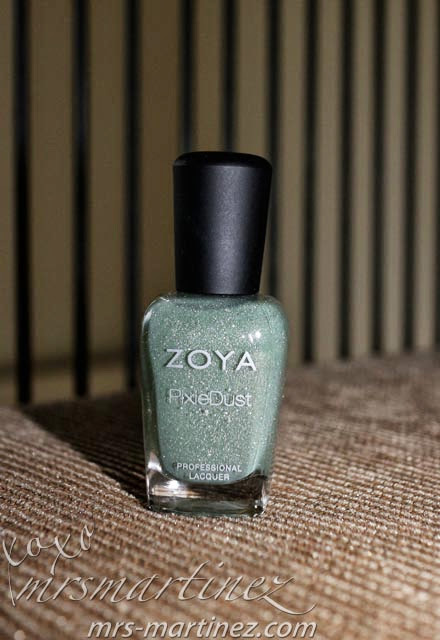 As with any Zoya nail polishes, the PixieDust line dries out fast too so there's no need to apply a quick dry nor a top coat.